The Rio Saiñas sank in Závora Bay on March 11, 2013. 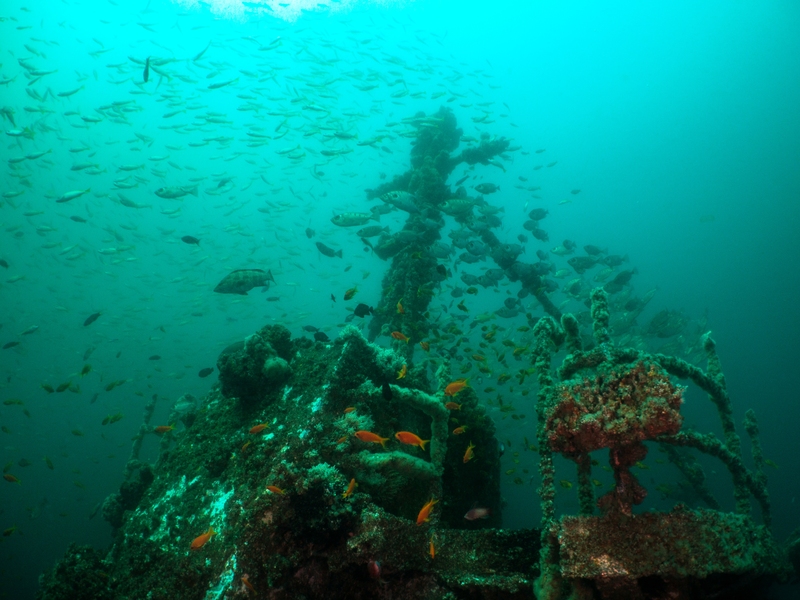 This wreck a 250-ton fishing vessel, which drifted to shore after losing power. The insurance company declared it a write-off, so the plan was to clean the vessel and sink in international waters. After all the fuel and oils were pumped off, the Rio Saiñas was towed off the beach, but due bad weather sank just three kilometres from shore. 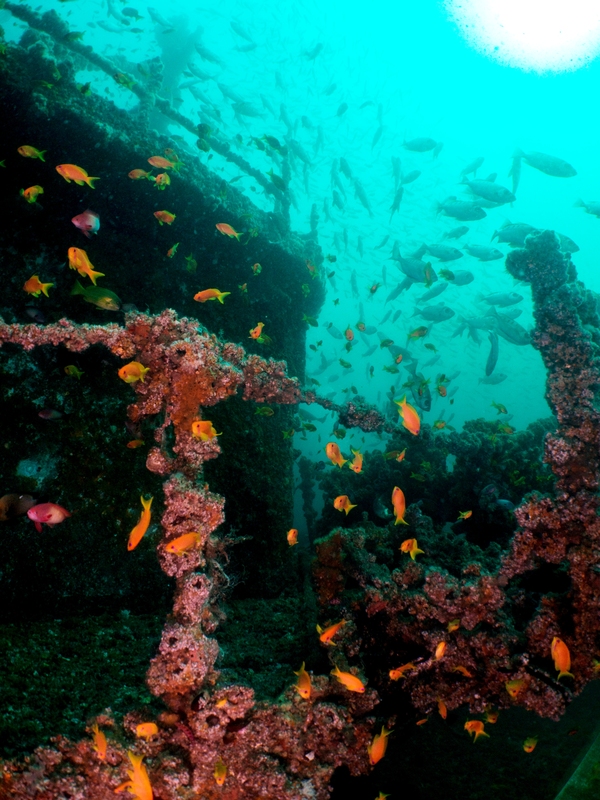 The wreck has provided an exceptional opportunity to monitor colonization of an artificial reef in the Indian Ocean. A complete survey has been conducted including benthonic and fish communities. The growth of marine life has been extremely rapid. Today, the wreck is home to many fish species including red listed animals such as the brindle bass (Epinephelus lanceolatus) and the catface grouper (Epinephelus andersoni). Monitoring is conducted through photo quadrats of the substrate, video transects, and stationary fish census.